Photos my #2 Daughter sent me of her new journal and Bible study. 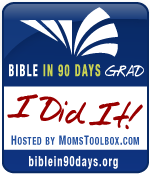 Today is a check-in day for B90 Days. I fell behind this week in my reading, about 5 days behind. But I know I can and will catch up. I plan to be caught up by next week. My family have all been sick this week, and we slept a lot. So not as much reading going on! But I did attend the #B90days twitter party which ended a minute ago. I always learn so much by seeing what the other ladies are learning from their reading. I have decided that I need to be more disciplined and scheduled in my relationship with God. I try to spend time with the Lord every day. But I have decided that I will be much richer in my relationship if I plan my time with God, instead of just letting it happen. I try to get up at 5:30, but when you don't go to bed until 12 or later, that is hard to do. Actually, it has not been more than a "thought" at this point. So if this is important to me, I have to plan my whole day around meeting God in His word. Maybe make a point of being in bed by 11? My husband would love it! I'll keep you posted how this journey is going. 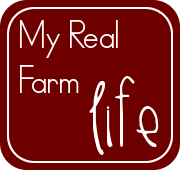 Now for farm news. We have LOTS of baby animals to tell you about. Saturday, my husband found a new calf at one of the rented pastures. Then today Pappy found twin lambs (one red and the other smoky like the Barbedos) and another baby calf. So we are doing pretty good for January. I think another lamb will probably come in the next day or two. One of my ladies is staying by herself today, so that is usally a sign. We still have a lot of births to come! But in my opinion, nothing is cuter than baby lambs! I will try to have pictures soon. The Grand-boy went home today. We always miss him when he is not here. I picked up his toys and put away his clothes. We'll see him again in a few days.